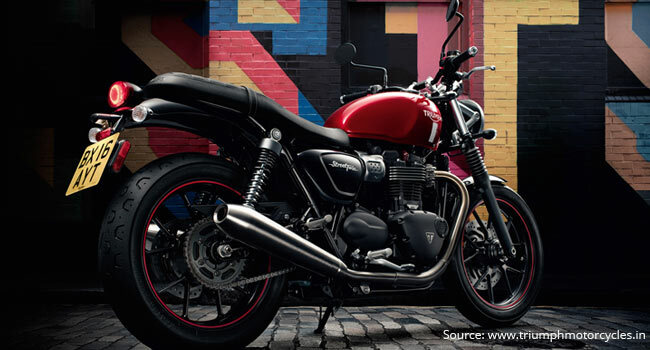 British bikemaker Triumph Motorcycles showcased three new bikes - Street Twin, T120 and Thruxton R - at the recently concluded Auto Expo 2016 in Delhi. The bikes boast of a ground-up redesign of their chassis and feature modern conveniences like ABS, Traction Control and Anti-Slip Clutches. The Street Twin is powered by a new 900cc engine that delivers a peak torque figure of 80Nm at a low 3200 rpm –18 per cent more than the previous generation. Triumph claims that it offers an easy-going riding experience courtesy of the all-new chassis and suspension. The bike is a contemporary take on the original Bonneville silhouette, with stripped-back styling, clean lines and minimal bodywork. The bike will be available in March at a price of Rs 6,90,000. Inspired by the legendary 1959 Bonneville, the Bonneville T120 is powered by an all-new 1200cc high-torque engine. The new T120 features include deep chrome multi-piece badges, grab rail and wheel rims, centre stand, heated grips and twin skinned chrome exhaust headers and peashooter style silencers - developed specifically to minimise heat discoloration and deliver that authentic ‘straight through’ pipe run. 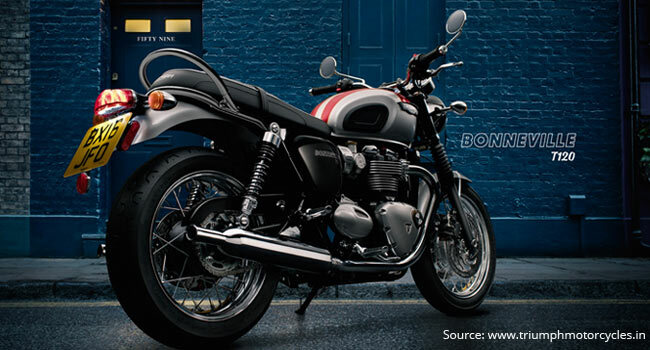 Bonneville T120 will be available from April and is priced at Rs 8,70,000. The all new 1200cc Thruxton R has sporty ergonomics, clip-on bars, a fully adjustable suspension and a 17-inch front wheel. Modelled after that classic café racer, the bike also features a liquid cooling system that allows for cleaner emissions and enhances fuel efficiency. Like the T120, it too has adjustable rider modes. 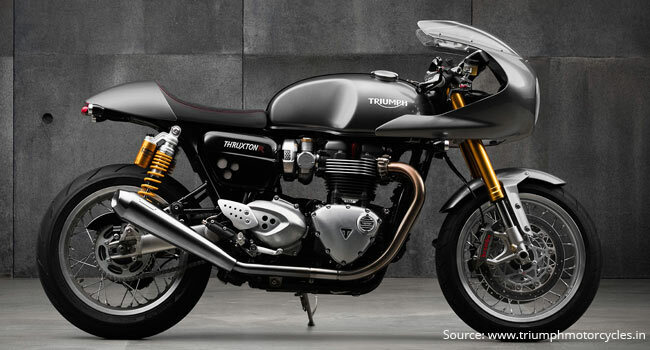 Pricing details are yet to be announced for the Thruxton but it will be available in July.